Karnataka may be well known for its thriving cities, its unspoiled beach towns, and its architectural landmarks, but India’s seventh largest state is also a nature lover’s dream. Located between Kerala and Goa along the coast of the Arabian Sea, Karnataka is home to huge stretches of lush jungle, hidden waterfalls, historic nature preserves and plenty of wildlife. Asiatic elephants, tigers, and leopards are all native to the region, in addition to hundreds of other species of flora and fauna. Whether you’re looking to go for a longer journey or want to retreat back to nature after discovering Bangalore and the state’s other buzzing urban centers, these wildlife sanctuaries in Karnataka offer some memorable explorations. Karnataka comprises a huge swath of the Western Ghats: an ancient mountain range that stretches along the subcontinent’s western coast. 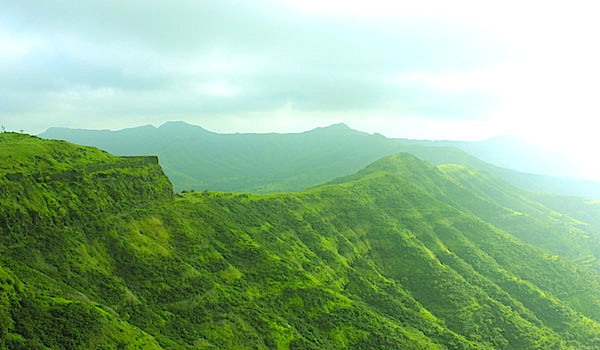 A UNESCO World Heritage Center, the Western Ghats are also known as a biological hotspot, and host one of the most diverse ecosystems in the world. It’s no wonder, then, that the region offers incredible wildlife spotting opportunities. 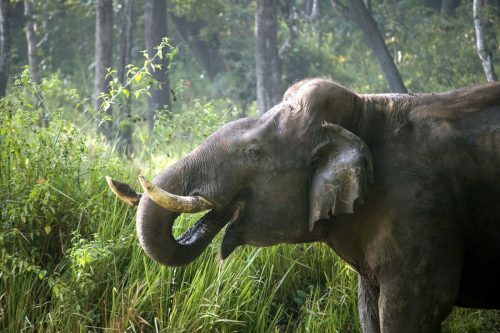 One of the best wildlife sanctuaries in Karnataka is Rajiv Gandhi National Park (also known as Nagarhole National Park). 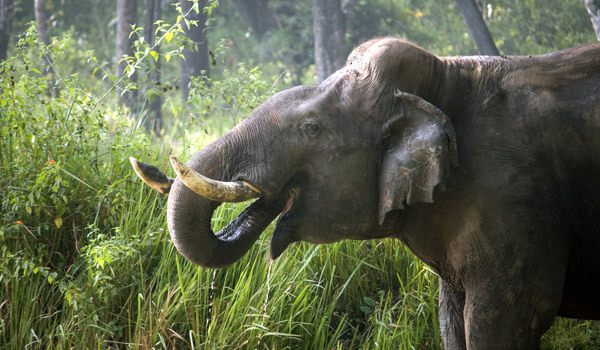 Comprising over 600 square kilometers, the park is home to the world’s largest herd of Asiatic elephants, and is bisected by the winding ‘Snake River,’ which gives it its name. Others among the hundreds of species that call the region home are leopards, wild dogs, tigers, bison, otters, lizards, and more. Jungle safaris are available to take small groups of travelers through the dense forests. Adjacent to the Rajiv Gandhi National Park, and just as essential for visitors to the area, is Bandipur National Park. The region has long been full of wildlife, though it wasn’t always protected: in fact, Bandipur National Park began as hunting grounds of the local Maharajas. 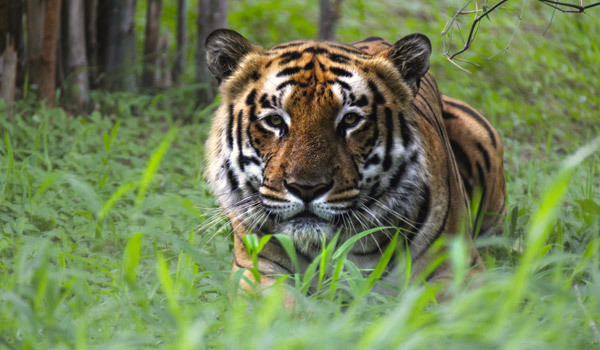 These days, the park, just 90 km south of Mysore, is a sanctuary for animals of all stripes, including Bengal tigers, which visitors can attempt to spot on local safaris. Beyond these two, Karnataka has no shortage of other nature escapes that showcase its biodiversity. 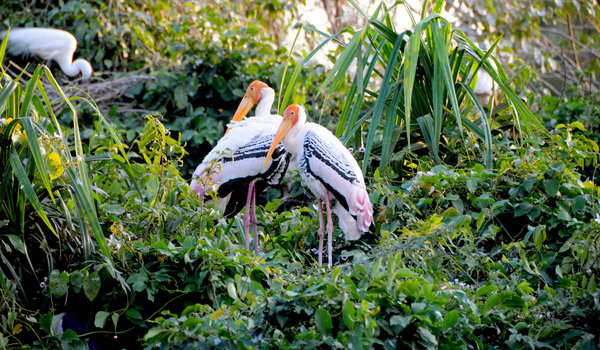 The Ranganathittu Bird Sanctuary comprises a cluster of small islands that are home to herons, kingfishers, ibises, and more: the park is explored on expert-led boating tours. The Daroji Sloth Bear Sanctuary, meanwhile, is an opportunity to spot the elusive bears, in addition to porcupines, boars, and a number of other species. After time spent trekking through forests and undergrowth, craning to spot wild animals, travelers can head to a resort that offers luxury in an all-natural setting. 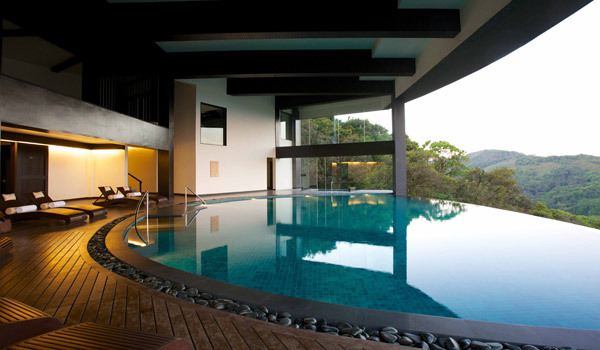 The district of Coorg in southwestern Karnataka hugs the Western Ghats, and hosts a number of high-end retreats. Orange County accommodates guests in private villas couched in the midst of fragrant coffee and spice plantations, while the on-site Ayurveda Village completes the relaxation. The Vivanta by Taj in Madikeri is one more destination that mingles rich landscapes with opulence, providing traditional Coorg style houses in the midst of 180 acres of rainforest. Comprising 63 eco-conscious rooms and villas, the hotel features a Jiva Grande Spa which will cater to those in need of pampering. After time spent relaxing, guests can trek to Coorg’s highest peak, bike off-road and even zip-line. The best wildlife sanctuaries in Karnataka aren’t simply for rough and ready trekking. Between the nature safaris and the restful time spent in verdant retreats, they’re the makings of a unique and unforgettable vacation.